The Narita airport running track? Ehm… come again? There I go again with the ‘only in Japan’-stuff, but it’s true. This airport seems to know exactly how you feel when you’re running to catch a flight: they’ve built a running track within the terminal! Weird but true. 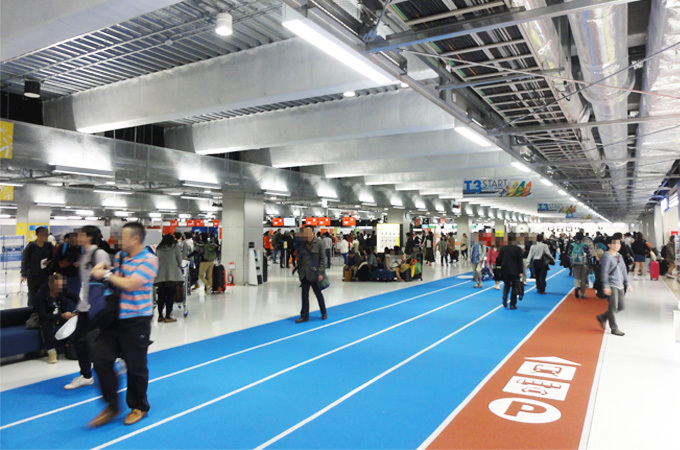 To prepare for the 2020 Olympics in Tokyo, Narita airport worked together with design firm ‘PARTY’ to create a fun walking/running experience. Instead of the usual illuminated signs and walkways you can easily find your way by looking at the running tracks on the floor. Blue is for departure, red is for arrivals. Sounds simple enough right? 3, 2, 1, and… GO! But of course (and maybe luckily) there is also enough room to relax. Guests can relax in the lounge and there are also different dining areas where you won’t need to run to get your dinner (would be fun though 😉 ). 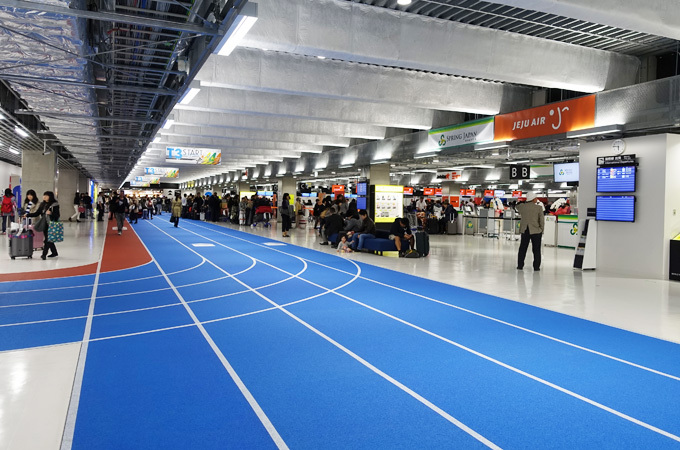 The design firm already stated that it hopes to see lots of people trying to truly ‘run’ on the Narita airport running tracks, all in spirit of the Olympics. So… if you plan to go to Narita, definitely check terminal 3, and maybe organize a little race if you’re up for it!